Finding the perfect new or used car for your Mission Hills and Huntington Park drives is stressful enough. The financing process shouldn’t have to be the same way! 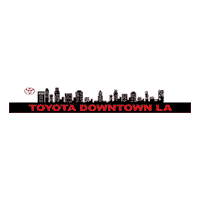 If you’ve already decided that buying, rather than leasing, is right for you, then the next question you’re probably asking yourself is, “What does it mean to finance a car?” Toyota of Downtown LA is here to help. If you have low credit or poor credit, lenders may be forced to offer you a loan with a higher interest rate. See if you can clean up your credit ahead of time, or otherwise, ask a friend with good credit if they can cosign for you! Find the Financing Plan That’s Right for You! If you have poor credit, making a bigger down payment can help to mitigate the impact of a high-interest rate. Figure out how much you can put down before you apply for a loan, and value your trade-in with us to minimize the total cost of your purchase. Remember to include the cost of gas, insurance, and maintenance when you’re making your calculations. Drivers who make the largest possible payments can enjoy significant savings, but if your monthly payment is too high, any unexpected costs can result in a major setback. Calculate your payment online to come in prepared. If you decide to apply for financing at multiple locations, make sure to submit all of your applications in a short amount of time. Doing otherwise could negatively impact your credit report. In most cases, it’s a good idea to apply for financing before you visit the dealership, but don’t forget: You may have the opportunity to negotiate on price before you finalize the loan terms and take ownership of the vehicle. When you’re finishing up the auto financing process, you’ll also have the opportunity to select additional packages and add-ons, including protections like GAP insurance, so make an attempt to consider all of your options ahead of time. Want to Know More About Car Financing in Los Angeles? When you’re ready to take the next steps, visit our financing department to get advice or apply for a loan! Whether you’re searching for a brand new model, a certified pre-owned vehicle, or an affordable used vehicle, our dedicated team will do whatever it takes to see you behind the wheel of your ideal ride.